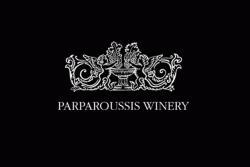 Parparoussis Winery was founded in 1974 by oenologist Athanassios Parparoussis. The Winery's premises, where the vinification, maturity, ageing and bottling take place is at the family estate at Bozaitika, Patras which is located on the Northwest coast of Peloponnese. The climate is mild, influenced by sea breezes and cool mountain air. The privately owned vineyards include 10 hectares at Movri Achaias which produce Assyrtiko, Athiri, Sideritis, Mavrodaphni (red dry) and Cabernet Sauvignon. Our goal is to focus on superior quality. The area in its totality is characterized by a tremendous eco-system. The forest of Strofilia and the lake of Kotyhiou are of particular environmental interest and are protected by the Ramsar Agreement. Today, the estate is a family run estate where Athanassios Parparoussis and daughters Erifili (oenologist) and Dimitra (major in economics) are responsible for the estate's success. The aim of the estate is to promote the Greek indigenous varieties and produce wines with the unique character of the variety. The wine making from red varieties is taking place based on the classical method of red vinification. Fermentation is done over 30-35 days using local yeasts. Ageing is done in Allier French oak barrels. (60% new - 40% second use). The wine making for the whites varieties is based on the classical method of white vinification; Fermentation in low temperatures and preservation of the wine "sur lie". Intervention is minimal and natural such as control of temperatures, transfusion etc... This methodology assures and enhances the typical characteristics of the varietals, their elegance and their uniqueness. Upcoming summer issue of Wine Enthusiast: 94 points, "Best Buy" & "Year’s Best Greek Wines" KTIMA PARPAROUSSIS Founded in 1974 by oenologist Athanassios Parparoussis, the winery is located on the Northwest coast of the Peloponnese. Mr. Parparoussis and his two daughters Erifili and Dimitra.